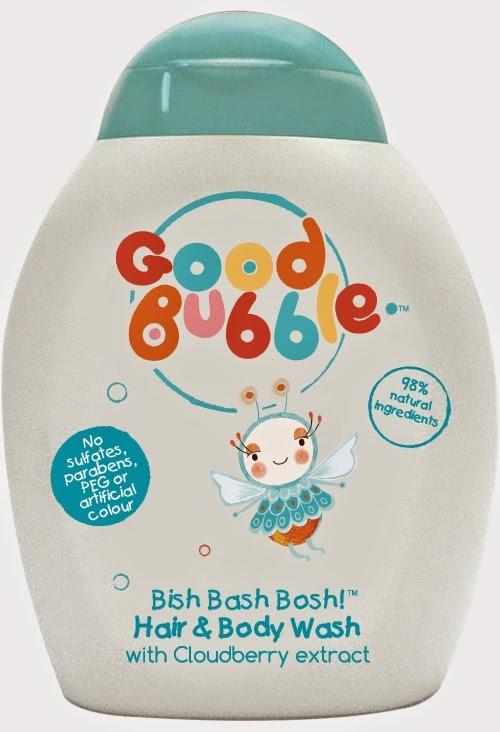 It feels like a very long time since I've tried out a range of Children's natural bathtime toiletries so my recent discovery of Good Bubble toiletries has re-ignited my interest in great children's skincare and bath care products that are gentle and kind to the skin and yet still fun to use. And it couldn't come at a better time - Holly has recently shown the first real signs of sensitive skin since she was a small baby; dry skin, raw, blotchy and itching at times, but with no clear cause other than just "irritation" - maybe I had become too complacent and had slipped back into using bath care products and washing products packed full of nasties? Good Bubble are very proud of the fact that their range of hair and bath products do not contain nasties in fact, their website is very transparent about the ingredients that do make up their products and you'll find that behind some of the more scientific-sounding ingredients there are in fact natural origins. 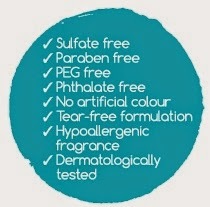 Good Bubble products are free from phthalates, parabens, PEG and sulfates which gives me the confidence to use them on the girls' skin and hair (although I would say that as a conscientious shopper, I do still worry about the number of palm-oil derived ingredients in my products like these). 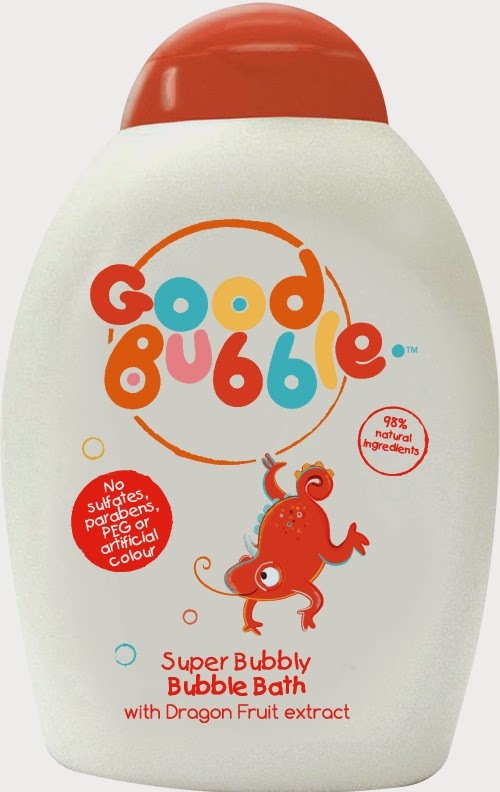 The most interesting thing I found about the Good Bubble products was that they have strong, bold scents and bright, fun packaging but they are also natural in origin. The cloudberry and dragonfruit "flavours" are fun yet real and these fruit-based extracts come with lots of other super-fruit benefits for the skin too such as anti-oxidants, vitamins and minerals which the skin can make use of. We loved the Clean as a Bean Shampoo as it smelled awesome and was very effective at cleaning. Combined with a gentle yet fruity shampoo my girls smelled super sweet! The Cloudberry bubble bath smells fabulous while the bath is running and it offers a good foam for a natural-derived product but our favourite product of all was the Good Bubble body wash which was a nice thick consistency and both girls enjoyed using the dragon-fruit-based Bish Bash Bosh body wash! Good Bubble products can be found online at www.goodbubble.co.uk and you can find them on Facebook and Twitter.